If you’re bored of black coats, red colour is a good option. 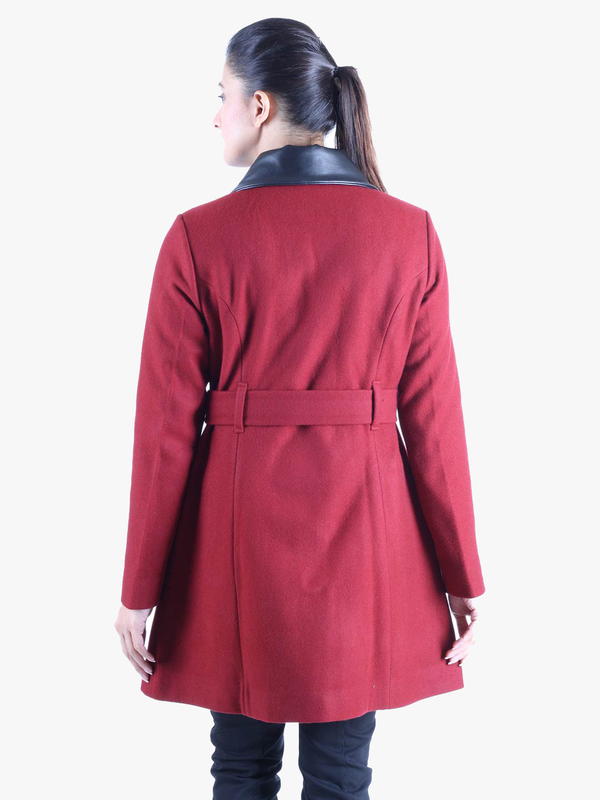 Women’s red coloured long coat will keep things from looking too intense and to simply formal giving attention to rexine collar, leather belt at the waist and side slip pockets. 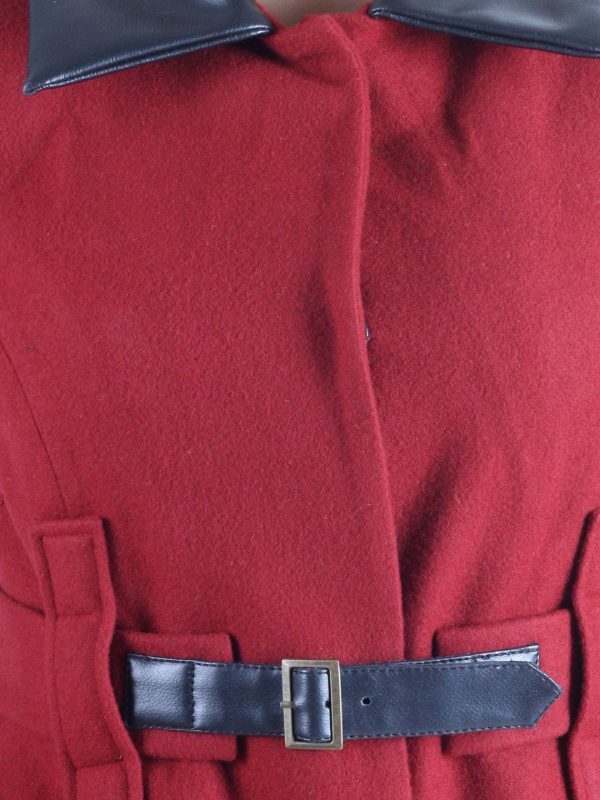 You can finish off your outfit with classic brown boots to keep yourself comfortable and warm.